It's been eight years since the 2008 recession. 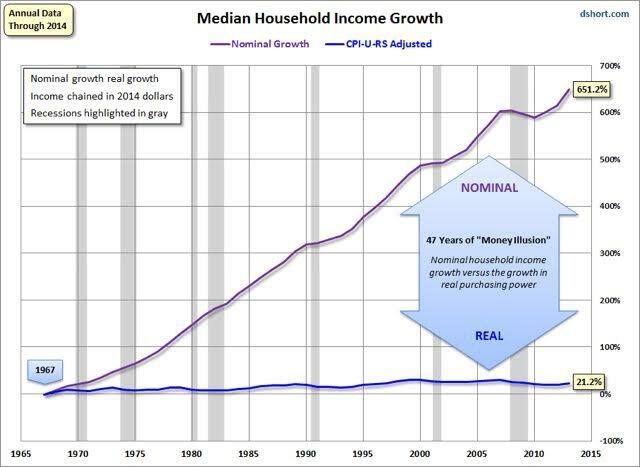 I believe we are in a massive recession right now but the media can’t call it that because by definition we aren’t there yet. A Recession is defined as a period of temporary economic decline during which trade and industrial activity are reduced, generally identified by a fall in GDP in two successive quarters. By the time the media calls it a recession it's already too late—it will be after the fact and you have already been affected. Related: Still Investing in Real Estate Through Traditional Avenues? Politicians talk about minimum wage constantly but the real problem they never confront is median wage. They don’t confront it because they can’t fix it. Americans must learn how to make more money and that requires either specific high paying skills or an entrepreneurial approach to wages. 5) Learn 'how' think rather than 'why' think and act like an entrepreneur. That means sales, marketing, negotiating, follow up, and branding.